My darling wife has a birthday. I’m not going to tell you how old she is. 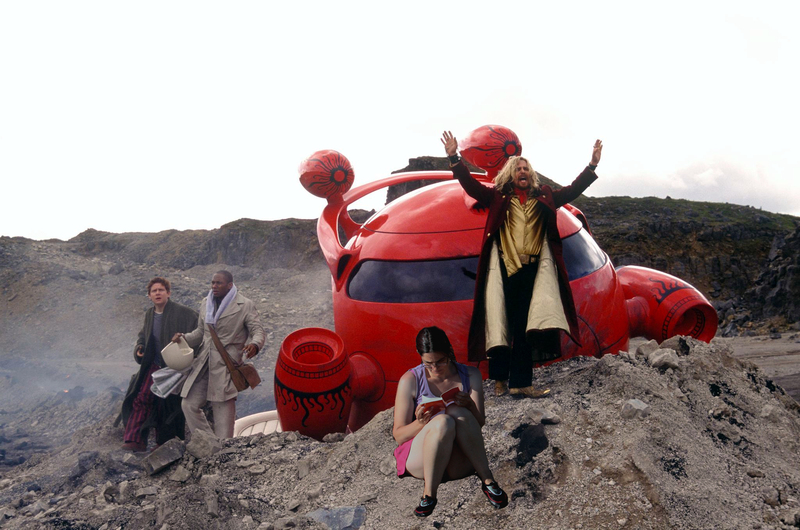 But to mark the occasion, I’ve Photoshopped her into scenes from The Hitch Hiker’s Guide To The Galaxy. 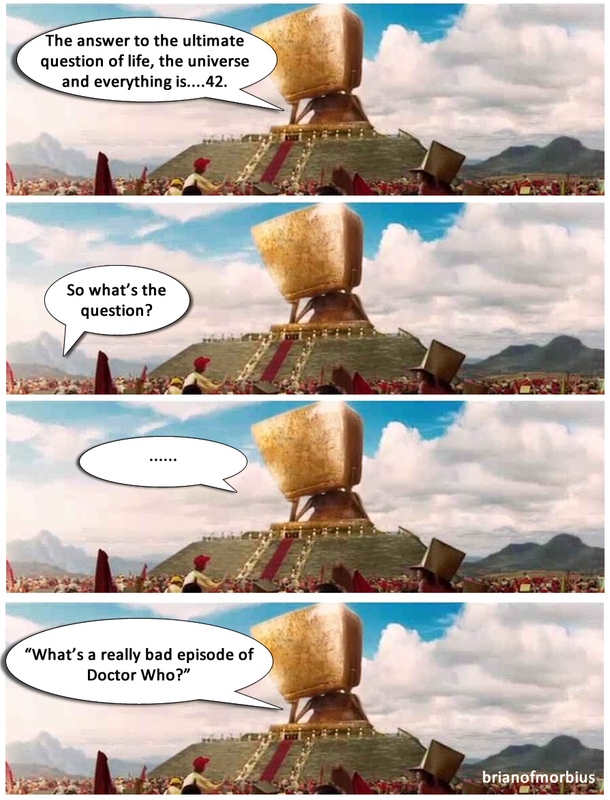 This started with the image at the bottom – a joke for which Gareth is responsible, stemming as it does from a conversation we had a while back as to whether the First Question was, in fact, the same as the Ultimate Question of life, the universe and everything, and whether or not the answer was thus ’42’. 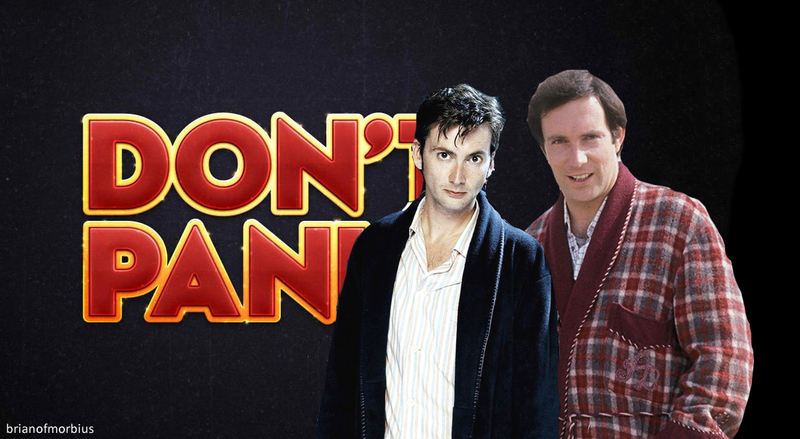 And one thing led to another and so here are a group of badly-produced Photoshop memes, most of them Doctor Who / HitchHiker’s Guide To The Galaxy mashups, along with one that isn’t. 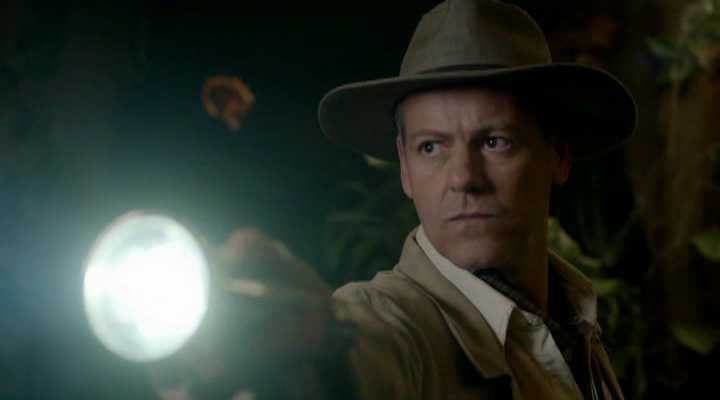 We’re on the home straight now for clues and conspiracies, but there’s still plenty more to see. Here’s a look at ‘Dark Water’, whereby we may be privy to the secrets within if we are willing to tap the surface. First, have a look in the park. 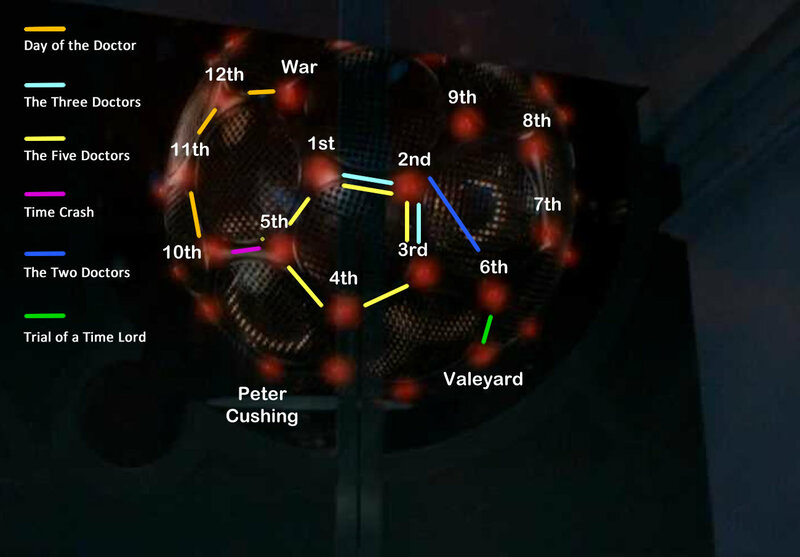 There are thirteen visible pillars in that central structure, a CLEAR AND UNAMBIGUOUS reference to the thirteen canonical Doctors, including John Hurt. Note also the sun spots. The furthest pillar to the right (but one) has a sun spot above it, making it clear that this refers to the Tenth Doctor, who was briefly possessed by a sun in ’42’. 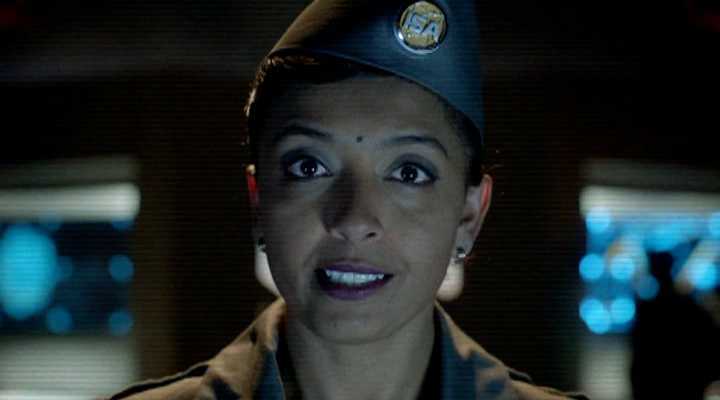 ’42’ was also the answer to the ultimate question of Life, the Universe and Everything, a concept developed by Douglas Adams, who was script editor for Doctor Who during the reign of the Fourth Doctor, whom we’ve already discussed in depth. Look closely and you’ll see that the figure at the base of the plinth appears to be holding up a lower case ‘B’, clearly alluding to Tom Baker. But where is Danny, anyway? 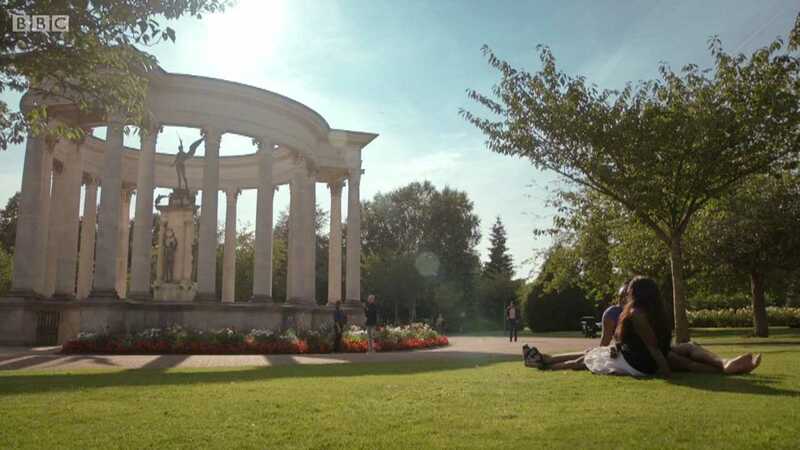 Well, he’s in Alexandra Gardens, in Cardiff, specifically walking past the Welsh National War Memorial, dedicated to soldiers who died in World War I – featured as an ephemeral plot point in ‘The Family of Blood’, an episode starring The Tenth Doctor. 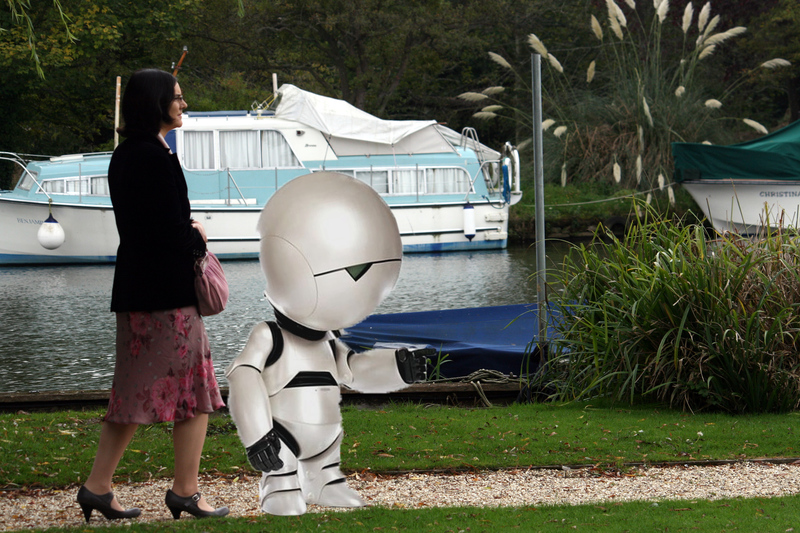 And then there’s the use of the gardens in ‘Last of the Time Lords’, which also starred…well, you know. Moving on a bit, I felt like doing some drawing today. So I did. 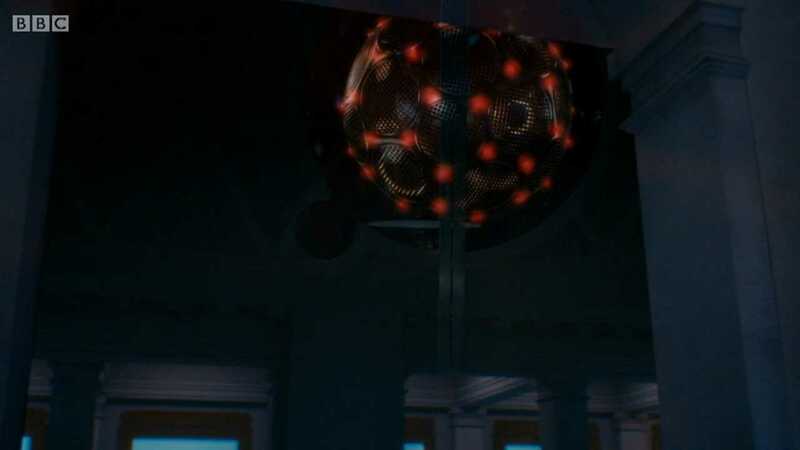 We started by looking at the disco ball that houses the souls of the dead. 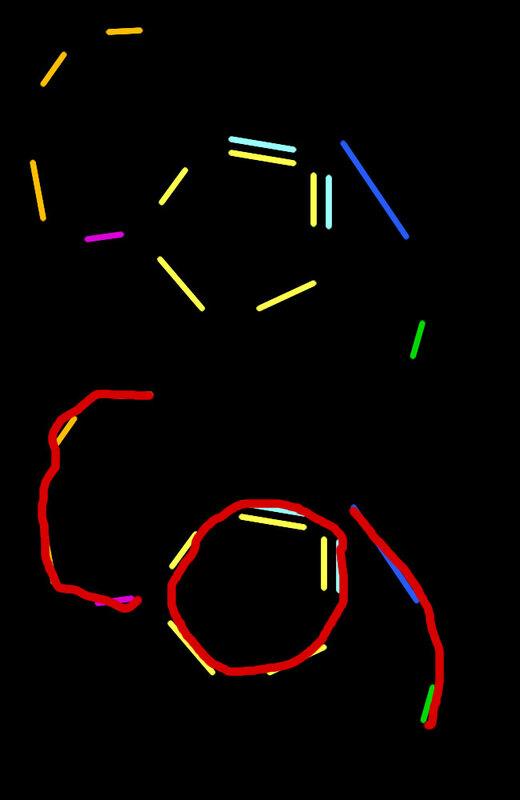 The three letters at the bottom – COI – could apply to the now-defunct Central Office of Information, but are more likely to refer to Coi, a restaurant in San Francisco – the setting for the 1996 Doctor Who movie starring Paul McGann (and again, we’ve discussed him before), battling against THE MASTER. Could we be about to see the return of Grace Holloway? Curiously, COI can be rearranged into ICO, a particularly fine PlayStation game, and one which has no reference to anything here, but it’s included because Gareth and I both love it (and knowing him, he’ll know come up with some sort of plot-related connection between the game and the Whoniverse). 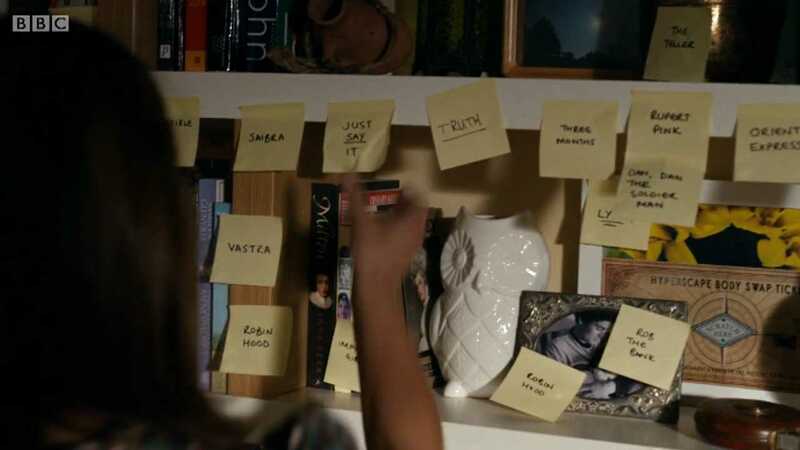 Look now at Steven Moffat’s Clara’s post-it note collection. The white owl on the shelf alludes to the owl owned by Ted Moss in ‘Image of the Fendahl’, featuring the Fourth Doctor. It is white because it also refers to the White Guardian, destined to make a reappearance soon. They read ‘Saibra’, ‘Vastra’ and ‘Robin Hood’ – words which can be combined and rearranged to form ‘Bravo! Historians abroad’. This is an opaque reference to ‘Marco Polo’, WHICH HAS CLEARLY BEEN FOUND. ‘Marco Polo’ also stars Mark Eden in the titular role, and from here we may trace links to Cornwall’s Eden Project and the site of what must surely be a 2015 story, presumably involving Sontarans. If this connection seems somewhat tenuous, let me add some cement. The architect for the Eden Project was Nicholas Grimshaw – a surname adopted by various Who actors in other roles, most notably William Hartnell (in Carry on Sergeant) and, um, Bruno Langley (in Coronation Street), whose appearance most people would probably rather forget. 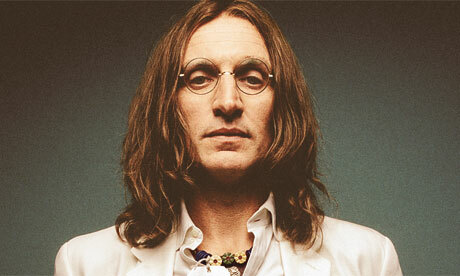 But it was an episode with the aforementioned Christopher Eccleston, so IT STILL COUNTS. Watching ‘Dinosaurs on a Spaceship’ was, I thought this morning, rather like ordering the mixed starters in a Chinese restaurant. 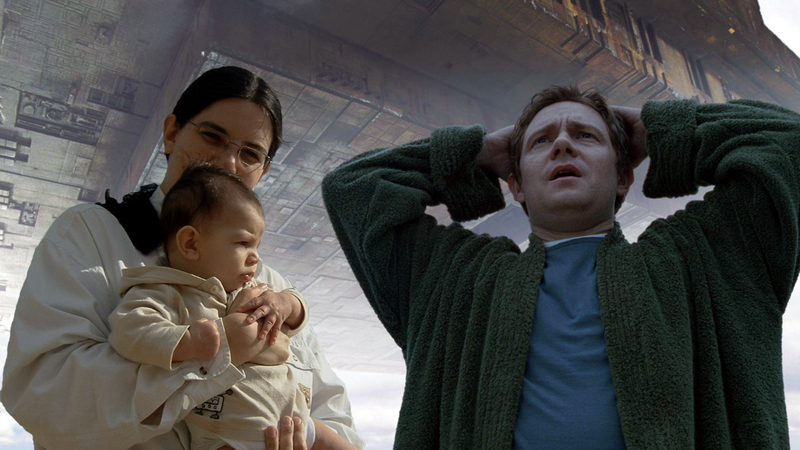 Rather than offering us a coherent narrative, Chris ‘mixed episodes of Torchwood’ Chibnall offered up a platter of random elements which more or less fit together. It was a stark contrast to last week, which at least tried to be consistent (even if it was dull). 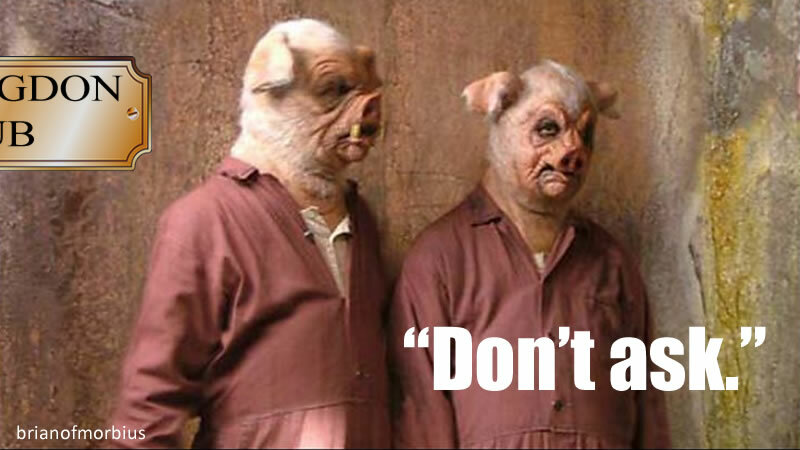 Chibnall didn’t even try here: there was, instead, a series of comedy vignettes loosely strung together by a frayed piece of string that we might call a plot. It was forty-odd minutes of insanity. 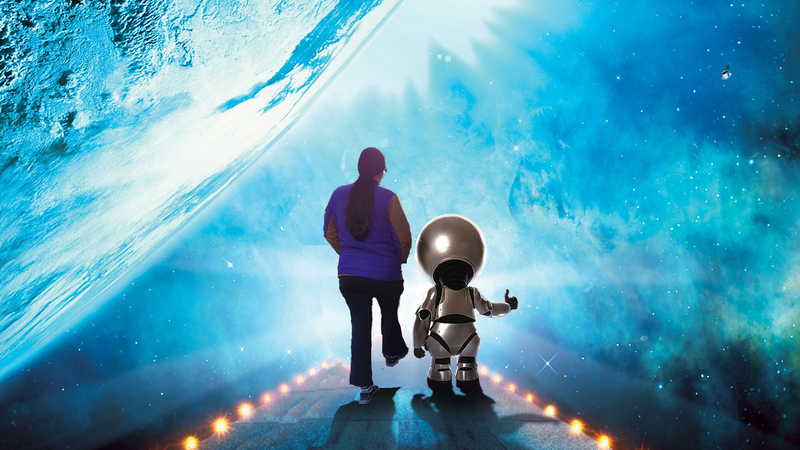 And – let’s get this out of the way – I thoroughly enjoyed it. This one was plugged as Snakes on a Plane, without the plane, or the snakes. Such comparisons are inevitable but not really fair: the snakes, in David Ellis’s 2007 misfire, are the whole point of the film, whereas the dinosaurs in this installment of Who, while impressive, are a McGuffin of comparatively little importance. 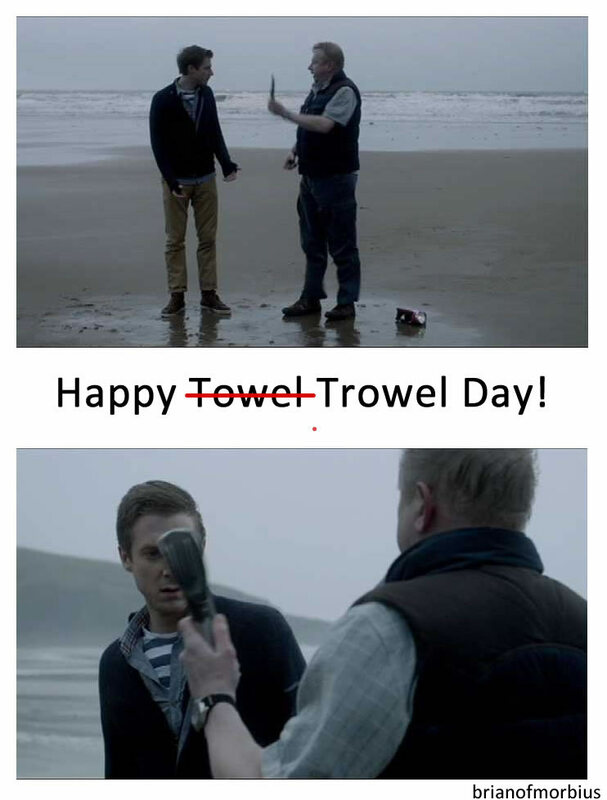 Because what this episode is really about is Rory’s Dad. 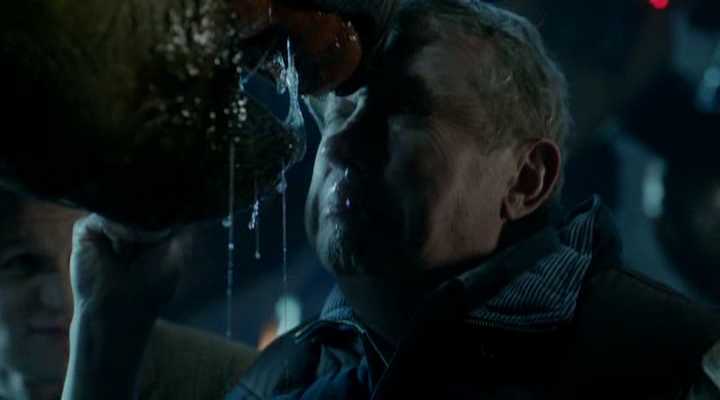 It had to happen: we’ve had two and a half years of the Ponds managing more or less by themselves, with Amy’s parents resurrected at the end of series five only to vanish into complete obscurity, while her husband hasn’t even got a look-in until now. 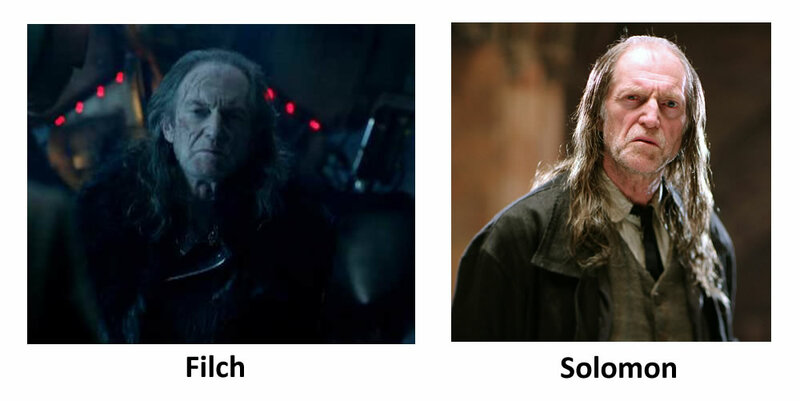 Credit should go to Moffat for keeping away from the soap opera family sagas that dogged Davies’ run, but perhaps it’s the very absence of detail that’s made me curious: who is Rory’s family? Does he have one? Last night, we sort of found out. After a madcap opening which saw us go from ancient Egypt to the plains of Africa, which echoed ‘A Good Man Goes To War’ and which, I feared, was setting us up for a catastrophic fall from grace, we visit the Ponds. Some time has elapsed since ‘Asylum of the Daleks’, and Rory’s dad, Brian Pond Williams, is fixing a light bulb, which is something that Rory apparently can’t do himself. Brian’s a gruff, grumpy character quite unlike Arthur Weasley (who, for some reason, I somehow expected him to be playing) – quite stunned to find himself suddenly inside the TARDIS, which has materialised around them all. 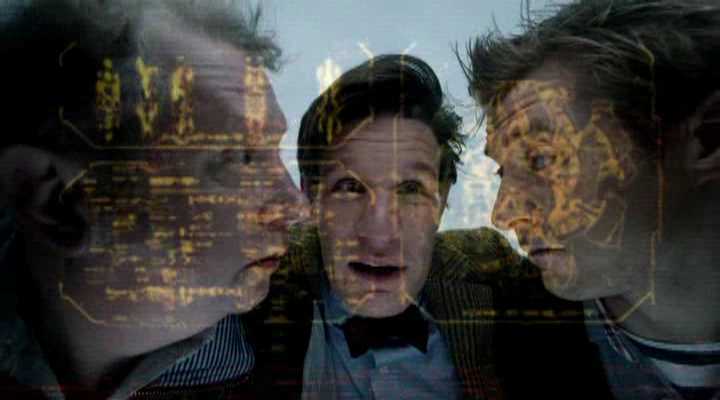 The Doctor takes everyone into the bowels of a colossal spacecraft “the size of Canada” (which enables them to go from beaches to jungles to grimy steel without worrying about the tone) and immediately jumps on Brian, before getting cross with Rory for bringing him along, much to Rory’s annoyance. It’s all a bit Byzantium, isn’t it? No one has time to be grumpy for long, because that’s when the main door opens, and we find out what the vessel is being used for. 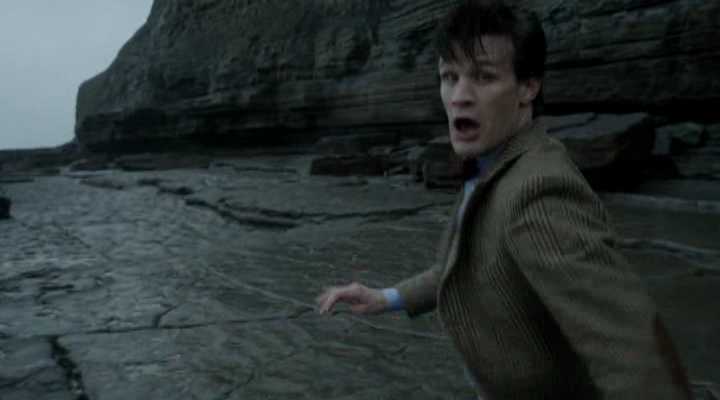 “Dinosaurs!” exclaims the Doctor. “On a SPACESHIP!” Which would be a wonderful reveal to take us into the opening credits, were it not for the fact that a) it’s the episode title, b) it’s been on all the promotional posters, c) it’s been flogged to death in the press releases. So much for spoilers. 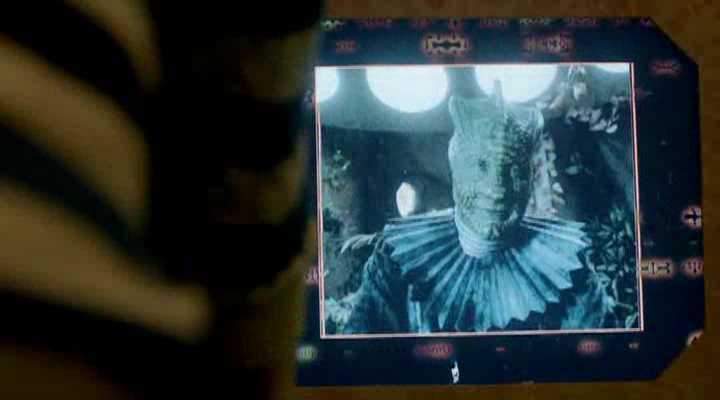 There was at least one surprise in store, although given Chibnall’s Who-related history perhaps we should have seen it coming: the ship is an ark formerly piloted by the Silurians (presumably to escape the disaster that wiped out the dinosaurs, which the Doctor really should remember). 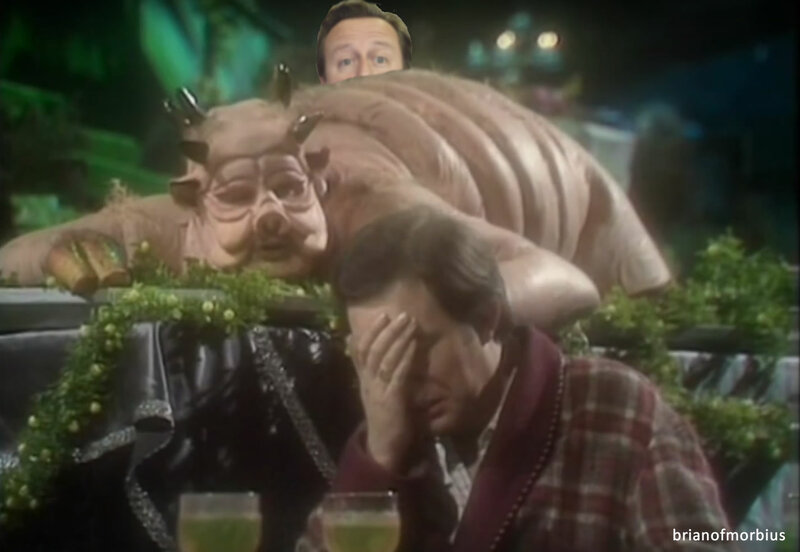 Unfortunately, the one Silurian actually present in the episode is visible on camera in a thirty-second pre-recorded video, which we can’t really see properly anyway because Amy is blocking the view, and that’s yer lot. 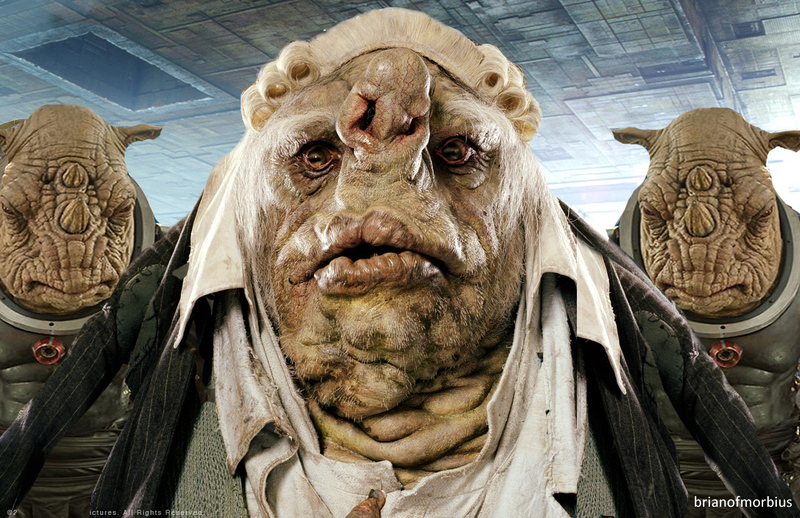 I know that the new Silurians shamelessly rip off V (at least physically; otherwise we’re in chicken and egg territory), but it’s hard not to feel a bit cheated. Perhaps more surprising is the revelation that it’s pronounced ‘sy-loor-ian’, which means I’ve been saying it wrong all these years. At first I thought Amy was bringing a Scottish lilt to things, in the manner of Kevin Lindsay’s mispronunciation of ‘Sontaran’ in ‘The Time Warrior’, but apparently not. 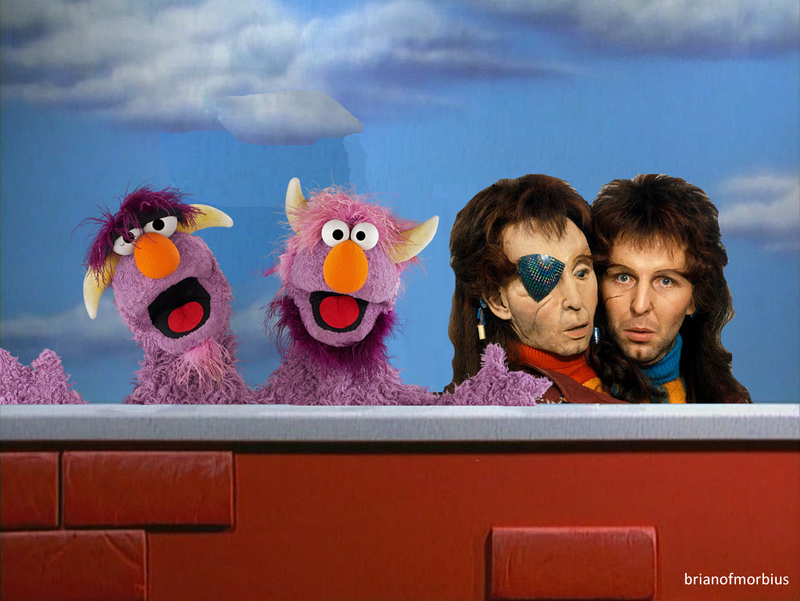 Still, I suppose the occasional clanger on my part is to be expected when you do your Who correspondence over the internet. Make the most of this. There won’t be any more. There are no Silurians hanging around because, as it turns out, they’ve all been killed by the evil Solomon, who is nursing his injuries in a shuttle hidden in the depths of the ship. 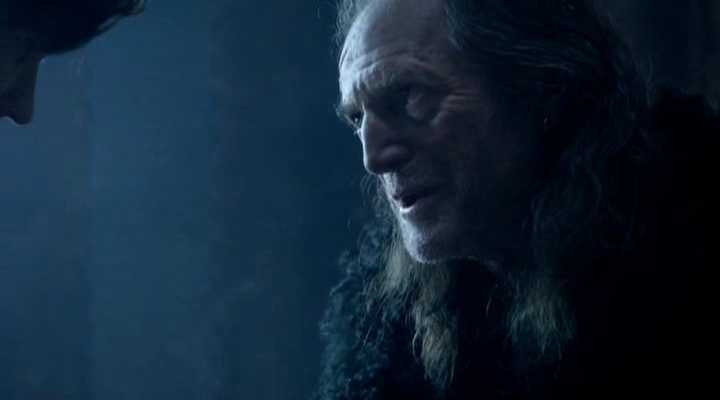 Solomon is played with sinister flair by David Bradley, recently seen in Harry Potter. You can almost hear the phone call. Well, we could be here all day. These scenes are really designed to give the three men a chance to Be Funny together, which – to be fair – they manage quite successfully. Smith seems to have regained his sense of humour after last week, boyishly declaring “I’m going to look at rocks!” before wandering off, although it isn’t long before they’re back and looking at a swanky computer screen. We have to overlay it like this, of course, to make it really obvious that they’re looking at a screen. While the Three Stooges are running away from pterodactyls, Amy has the rather tedious job of wandering round the rest of the ship, stumbling across a sleeping dinosaur that can’t be much bigger than a rhino before musing “At best guess, a tyrannosaurus rex”, suggesting that either she doesn’t know her dinosaurs or it was just a really, really small one. Her main role in this episode, however, consists of interacting with the two supporting characters, both of whom are there to provide crucial narrative support at one particular moment, rendering the rest of their appearance entirely pointless. Amy deals with this by having the two of them argue about gender politics, before drawing their attention to the screen. There’s something awfully familiar about this. It really is mind-numbingly tedious. And so is Amy, who seems to have been so drastically rewritten this series it makes me wonder what on earth I saw in her the first place. Last week she was laughing in the face of danger; this week she’s pressing buttons, because apparently that’s the sort of thing the Doctor does. Rarely has Karen Gillan had me looking at my watch, and it isn’t really her fault, but for the first time last night I found myself grateful that we’re facing the imminent departure of the Ponds. 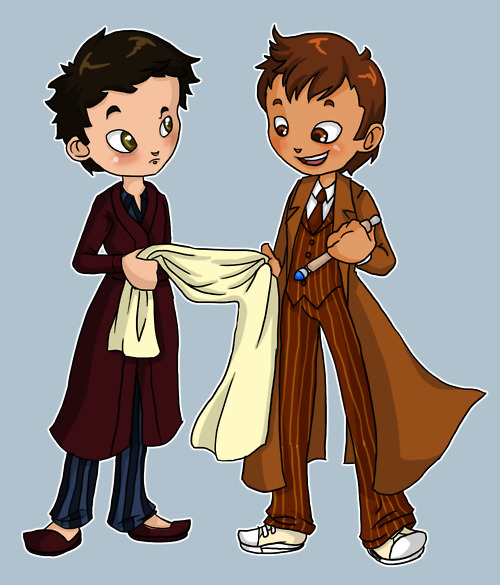 Meanwhile, the Doctor et al. 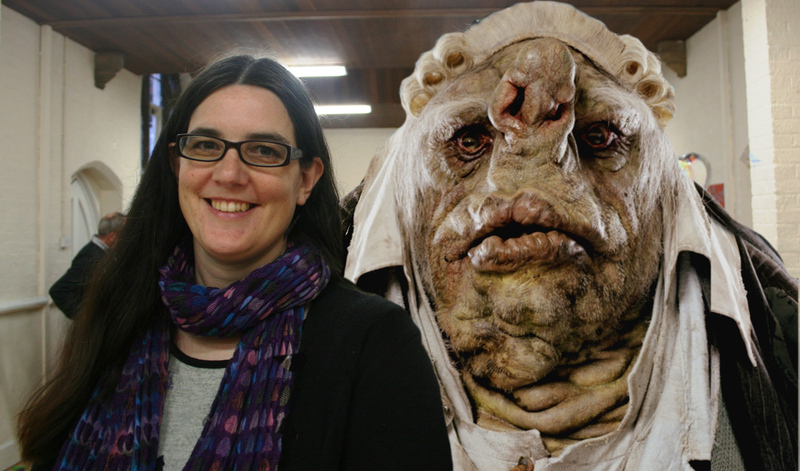 appear to have met a triceratops, which, in This Week’s Funny Moment, slobbers all over Brian. Which, in turn, calls to mind this little moment of comedy gold. The triceratops, of course, behaves exactly like a dog, adhering to dinosaur film principle #1: any herbivorous creature must be friendly, sweet and not in the least intimidated by humans. The canine-like behaviour extends to the point that it runs to fetch the golf balls that Brian throws for it. 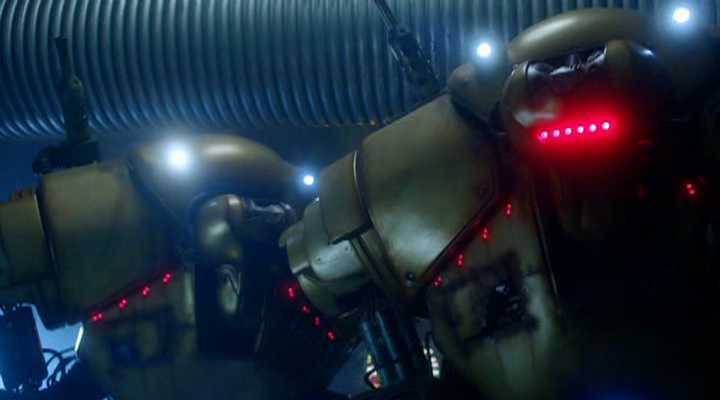 The whole thing is very silly, but it’s hard not to raise a smile when the Doctor, Rory and Brian leap on its back and gallop through the halls of the spaceship, or feel a pang of sadness when Solomon and his robotic cronies subsequently gun it down. 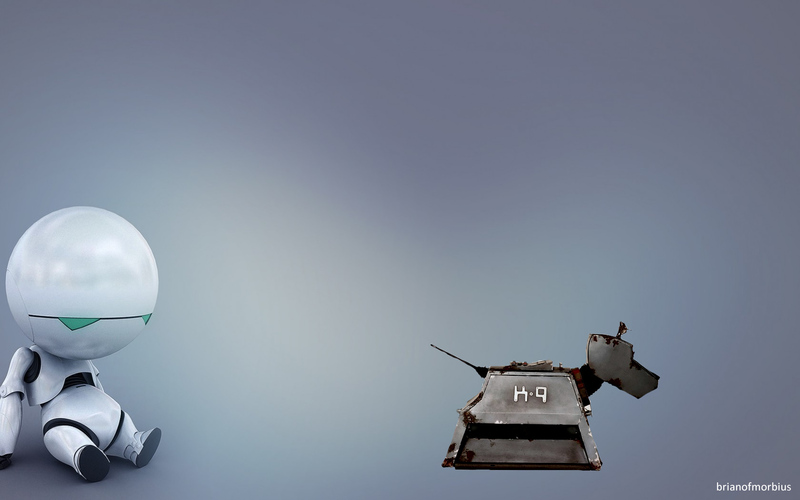 Tally ho, and all that. Apologies for the blurring. Ah, yes. Those robots. I have no idea what the casting directors were playing at here, but bringing in Mitchell and Webb was a mistake: amusing for one line, when David Mitchell faces down the Doctor and says “We’re very cross with you”, and then swiftly grating. (Besides, if we’re going with hulking monstrosities with silly voices, Suburban Commando got there first.) Reduced to a one-scene cameo with amusing dialogue this could have been another celebrity cameo in the manner of Billy Crystal in The Princess Bride, or Bill Bailey in ‘The Doctor, The Widow and the Wardrobe’. As it stands, their pre-recorded patter swiftly becomes tiresome: the robots-behaving-like-children thing ages faster than Sara Kingdom at the end of ‘The Daleks’ Master Plan’, and Mitchell saying “You’re going straight to the naughty step” would have been funny if he hadn’t said more or less exactly the same thing to Webb in the Mac advert campaign. The ship is still speeding towards Earth, where the military has No Choice But To Shoot It Down, despite the Doctor’s reassurances that everything is OK. The ethical ‘dilemma’ as faced by the Earth is epitomised by the pained look of one particular commander. Because even Indian people experience angst. 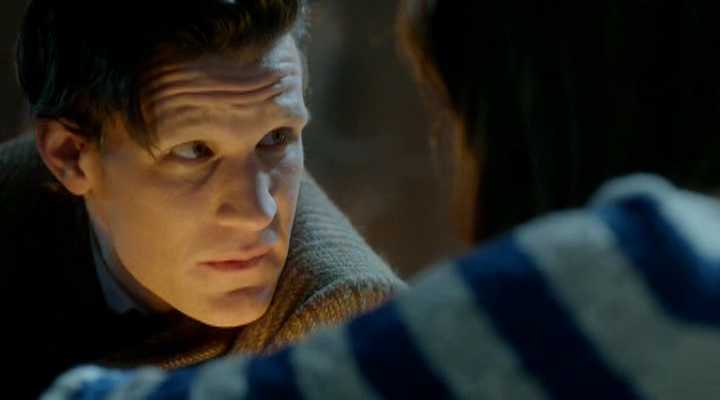 Up on the ship, the Doctor has a plan, but he has time to chat to Amy first and reassure her that he’ll never leave her. “You’ll be there until the end of me,” he promises, to which Amy quips “Or vice versa”. This grants the Doctor the opportunity to give her a Very Serious and Worried Look. Said look is presumably designed to dangle the prospect of Amy’s death in front of our noses until ‘The Angels Take Manhattan’, in which Moffat will reveal that it was all a bluff just before he actually kills Rory. 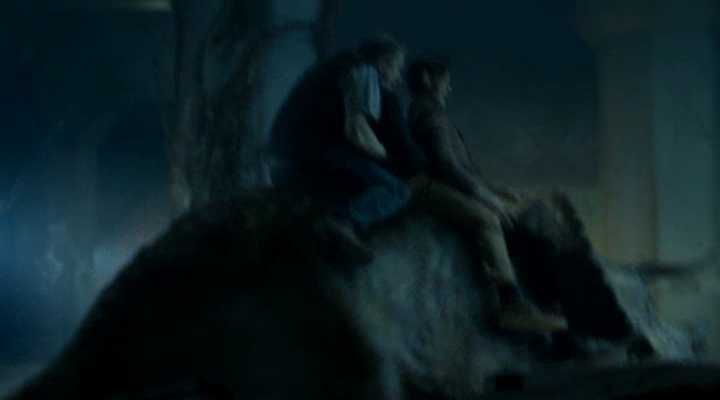 Speaking of death, the end of the episode sees some dubious moral choices: the Doctor saves the dinosaurs by freeing Solomon’s ship, allowing him to escape, but reversing the signal so that the missiles pursue him instead of the dinosaurs. 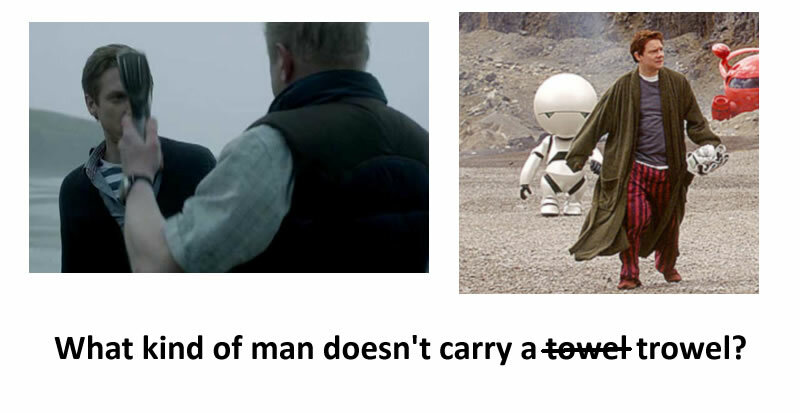 It’s technically possible for him to escape, just as it was technically possible for Johnny to have escaped at the end of Mad Max, but this is the closest the Doctor’s come to outright murder in a while, and it’s not a comfortable place for him to be. 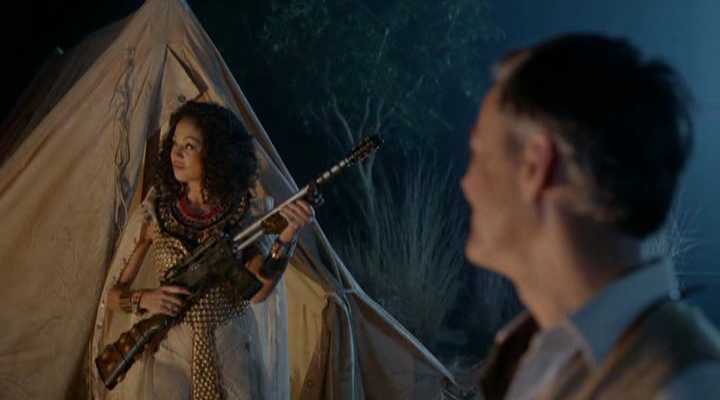 Meanwhile, Riddell the hunter has taken care of the approaching velociraptors – with the help of Amy, who has inexplicably developed fantastic shooting skills in the same manner that washerwomen and market traders develop chorographical skills in musical numbers. This is an excuse for another bit of fancy gunplay, as rather than take a side of the room and stick to it the two embark on a dazzling display of shooting-past-each-other, while finishing – as Gareth pointed out – in the middle of the room, whereas standing right by the door would surely have been the safer option. Riddell is, of course, using tranquilisers, which absolves him of moral responsibility so presumably we won’t feel bad when he heads back to Africa and starts shooting real animals again. Things have thankfully come on a bit since ‘Invasion’. Brian gets to be a hero, piloting the ship out of danger with the help of his son, although Chibnall missed a trick here – there was the potential for more banter in the manner of parent-child driving lessons, but instead all we get is Williams shouting “I’M FLYING A SPACESHIP”. 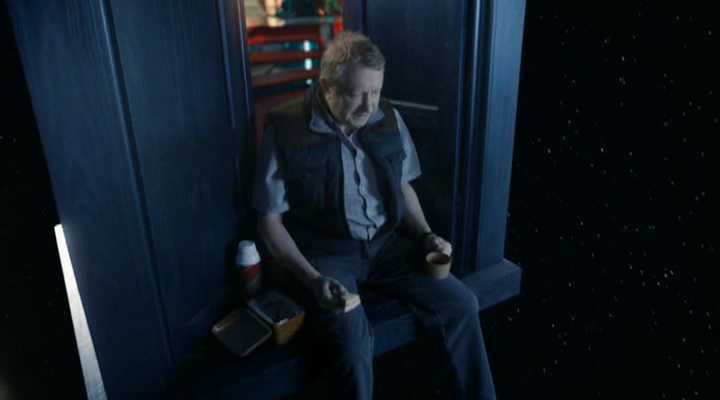 Nonetheless, he’s the focus of the nicest scene in the episode, which consists of nothing more than a quiet sandwich lunch (with Thermos) at the open door of the TARDIS, looking out over the Earth. It’s wordless, understated and really rather lovely. Brian’s experience on the ship, of course, has given him the travel bug, and one of the final images in the episode is Amy and Rory’s kitchen wall, adorned with photoshopped postcards of his excursions. Well, being chased by pterodactyls and getting shot by robots is one way of curing hodophobia. It does rather recall the subplot in Amelie where the titular heroine gets her father out of the house by kidnapping his gnome. This was cliched, hackneyed and immediately obvious from the moment they first appeared on screen together. For all its structural issues and inconsistencies, ‘Dinosaurs’ was a riot. It was silly, and outrageous, miscast and occasionally poorly written. It was also very, very hard to dislike (and I wanted to. I really did). Because stories like this need to be fun, in the way that Snakes on a Plane wasn’t. Regular readers here may remember that a couple of months ago I predicted that ‘Dinosaurs’ would be rubbish. And I stand by that, because it was, but it was a fun, silly, highly amusing sort of rubbish, and so in many ways not really rubbish at all. Perhaps it was the Chardonnay, but I enjoyed last night’s Who more than any other I’ve seen since 2010. That can’t be a bad thing.